Around Sydney are lots of beaches. 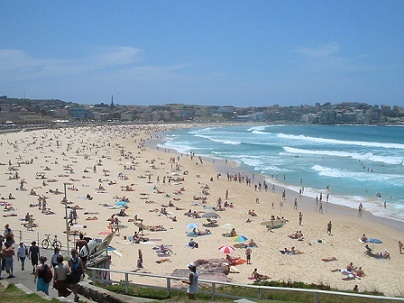 Some of them are world famous such as Bondi Beach, Manly and Coogee Beach. Bondi Beach, Tamarama, Bronte, Clovelly, Coogee Beach, Maroubra Beach, La Perouse, Little Bay and Cronulla Beach. Most famous beach and a popular destination among travellers. It’s the closest beach to the city centre (7km) and about 1 km wide. There are numerous restaurants, coffee shops, bars and hotels around the beach. 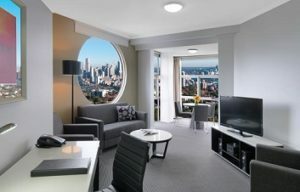 Meriton Serviced Apartments Bondi Junction (5190 reviews, 8.8) is above the train station and next to the Westfield Shopping Centre. The spacious apartments have a a fully equipped kitchen. Free Wifi. To the beach is 2 km. 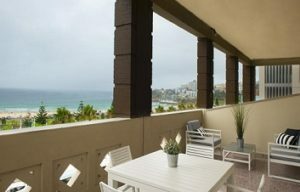 Hotel Bondi (1008 reviews, 8.4) is a 3-star property with 37 guest rooms close to Bondi beach. Free Wifi. 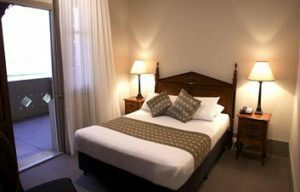 The Family Room has a double bed, sofa bed and 2 single beds. Manly, Harbord, Dee Why, Collaroy, Narrabeen, Mona Vale, Bilgola Beach, Whale Beach, Palm Beach. Take the Eastern Suburbs train (CityRail). It has stops at Town Hall and Central Station in Sydney’s Central Business District. 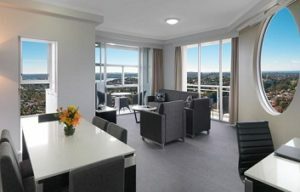 It takes 10 minutes from Town Hall to Bondi Junction. The railway station at Bondi Junction is 2 km from the beach. Buses run all day from Bondi Junction to the beach. The bus trip takes 5 minutes. From Sydney Airport take public bus 400 to Bondi.